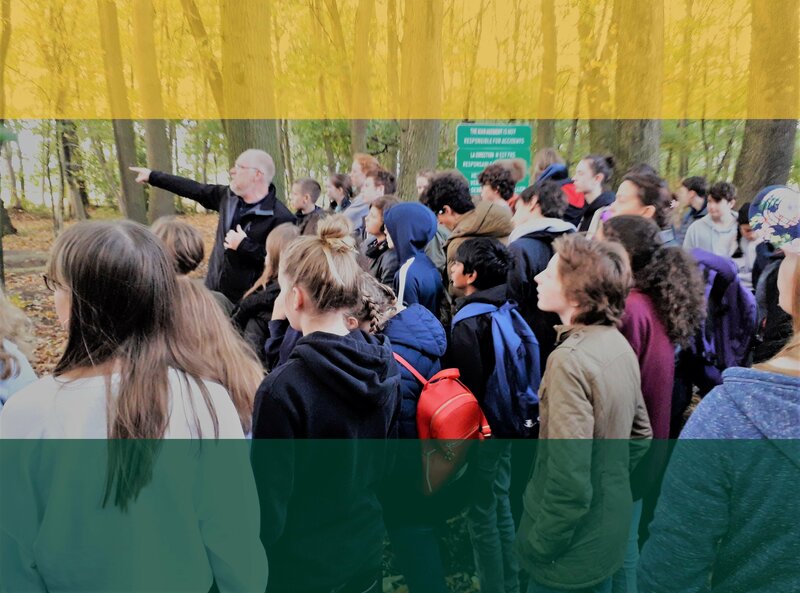 From Wednesday 10 to Friday 12 October, Year 9 (III Group) history students visited Belgium as part of the School’s annual Battlefields trip. This year was the 20th successive yearly visit to the battlefields and memorials of the Ypres salient in Belgium, and coincided with the hundredth anniversary of that ‘war to end all wars,’ fought, according to US president Wilson, to make the ‘world safe for democracy’. We witnessed the sites where so many were killed and suffered – places that have been preserved and been partially recovered like Sanctuary Wood at the foot of Hill 62 (pictured). The students attended the daily act of remembrance beneath the arch of the Menin Gate in Ypres memorial and maintained a dignified silence. The History department has been privileged to have initiated and organised this annual pilgrimage and to have helped students to connect with this shocking and awesome part of British and world history.